イベント詳細決定です！News of Maru’s event holding! ▼News of Maru’s event holding! 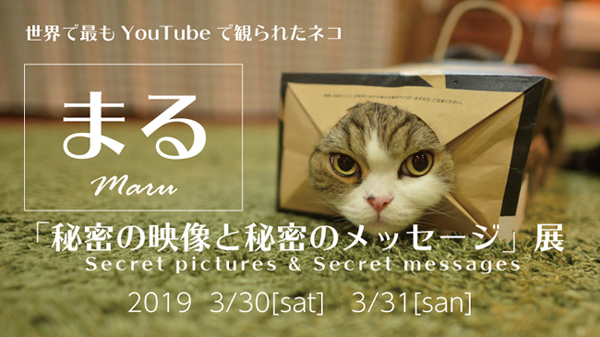 We will have a special picture event of “Maru” on March 30 (Sat) and 31 (Sun) in Tokyo. You will have a chance to experience an exclusive movie shown only in this event and a special column by its owner together with many photos which were never shown before. Also some original novelty goods will be available only at this event. Many many pictures of “Maru” you have never seen. ▼Refer to the following URL for event details.